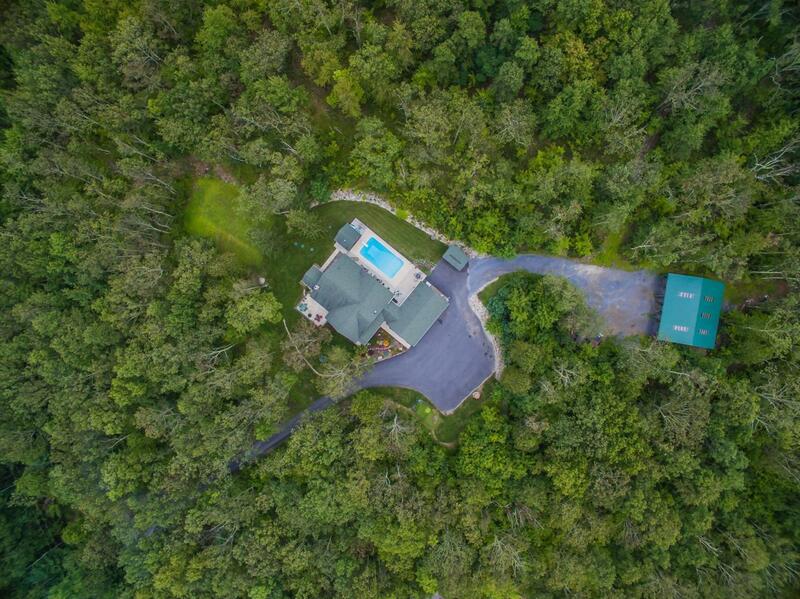 Peaceful serenity abounds the moment you turn into this picturesque mountain retreat nestled on 14+ acres bordering the Michaux State Forest. 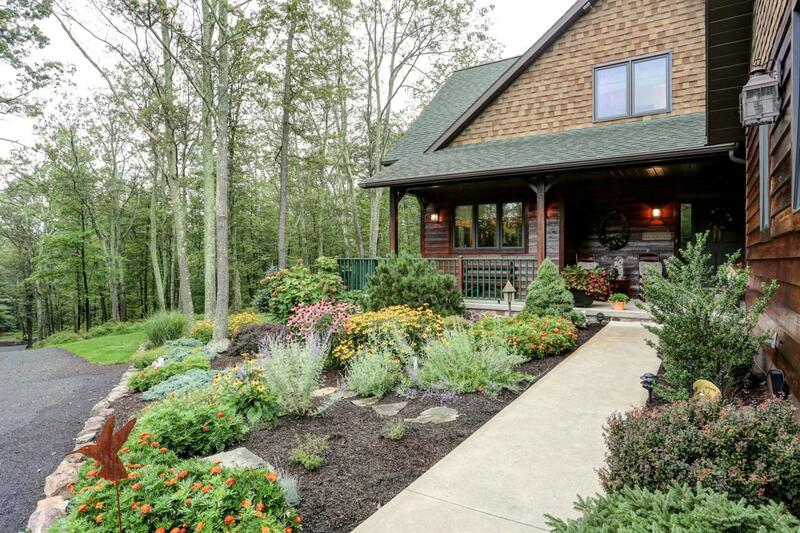 Warm and inviting - you are welcomed onto the wrap around porch to sit and enjoy natures beauty. The screened in side porch welcomes you to observe more of the natural beauty surrounding you. As you enter the home notice the oak flooring that was hand selected from the saw mill. Turning the corner into the kitchen you will find ample room for friends and family at the 12~ island surrounded by custom hickory cabinetry. The 5-burner stove with double oven space invites your inner chef to create culinary delights. Flowing into the living room your eye is drawn to the expertly crafted mountain stone fireplace. Stones hand selected from both North and South Mountain create a warm inviting space to gather by the dining room/ pool table. The main level continues to your master retreat with dual closets, double sinks, jacuzzi tub and shower. Rounding out the main level are a half bath, laundry room, additional closet space and convenient mud room area. The wide staircase to the second floor brings you to a large bonus room, two additional bedrooms with vaulted ceilings and views of the tree tops, and an additional full bathroom. Exiting the home through the mud room provides you access to the in-ground heated 16~ x 32~ pool and the expansive 3-car garage with full walk-up loft area. 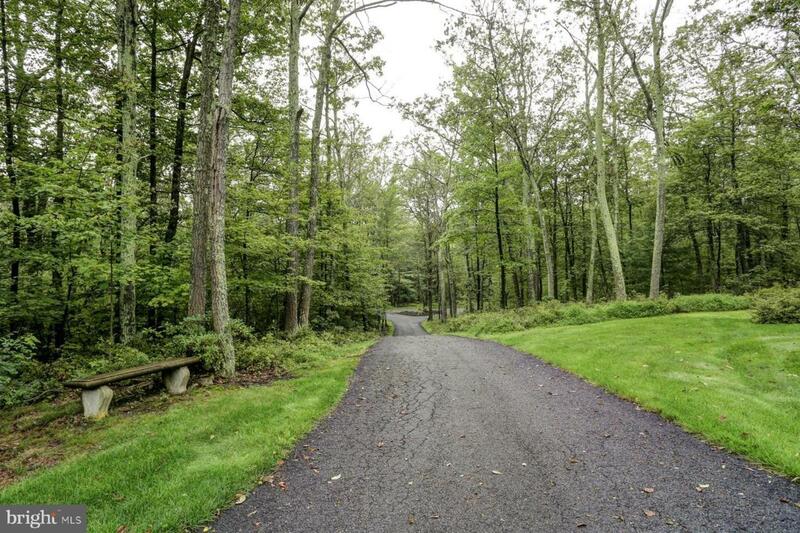 Tucked behind the home, follow the gravel portion of the driveway to the 30~ x 40~ equipment building and view access to trails throughout the property to explore. Quiet, peaceful surroundings yet only 7. 4 miles to I-81 exit-29 Shippensburg. 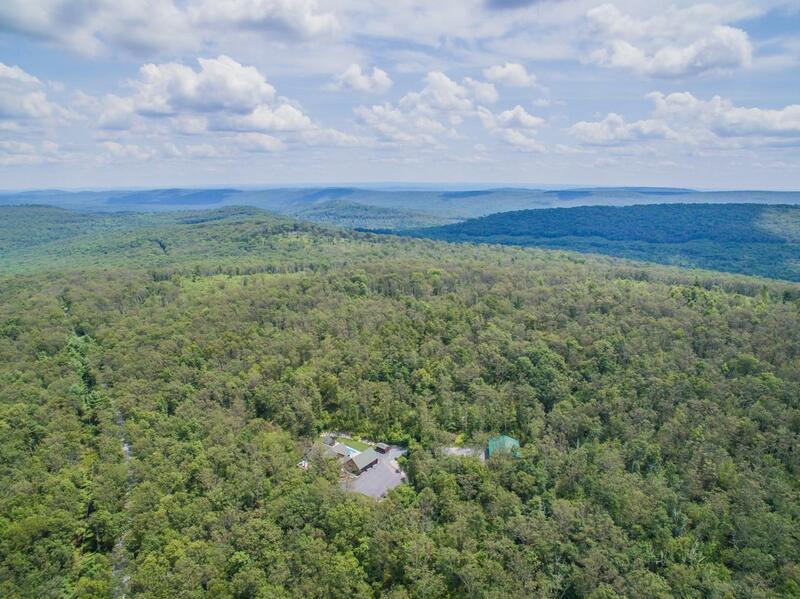 Nearby access to Pine Grove Furnace State Park - with their beautiful recreational lakes and the Kings Gap Environmental Education Center. Enjoy the scenic route to reach the home via Ridge Road or for more direct access use Walnut Bottom Road to High Mountain Road. Exclusions Blue Spruce Tree in The Front Yard Near Front Porch. Inclusions Stove/Range Refrigerator Microwave Dishwasher Wood Stove Water Softener Garage Door Opener Window Dressings Pool Equipment Storage Shed Generator.